After yesterday's sharp rebound from near 4-month lows, gold came under some renewed selling pressure as investors awaited for fresh signals on the Federal Reserve's monetary policy outlook. 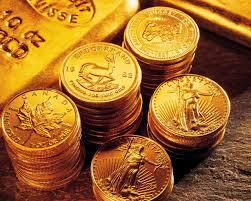 The selling got a little exhausted on Monday, with the metal rebounding sharply from $1205 region. However, a modest uptick in the US Dollar demand was seen weighing on the dollar-denominated precious metal through Asian session on Tuesday. Adding to this, prospects of monetary policy tightening from other major central banks, which has been pushing up global bond yields, might continue to dent demand for the non-yielding yellow metal and eventually keep a lid on any meaningful near-term recovery. Investors now look forward to the Fed Chair Janet Yellen's semiannual testimony on monetary policy and the economy, for fresh clues over the timing of next rate hike move and in order to determine the next leg of directional move for the metal. Later during the day, second-tier US economic data - JOLTS Job Openings and Final Wholesale Inventories, would be looked upon to grab some short-term trading opportunities. A follow through weakness back below $1210 level might continue to find some support near $1205 level ahead of the key $1200 psychological mark and March 10 lows support near $1195 level. On the upside, $1215 level now seems to have emerged as immediate resistance, which is closely followed by resistance near $1220 area.